The Single Leg Calf Raise is a lower body exercise that primarily targets the calves. This is an isolation exercise which is well suited to beginner lifters. 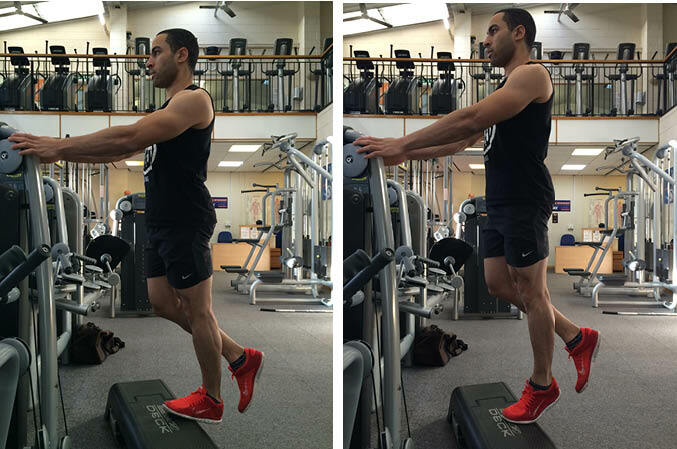 If you find it hard to balance, gently hold on to a stable object, but try not to push down on it as this will make it easier for your calves. Stand on a step with the front of one foot. Lower your body down by relaxing your calf muscle until your heel is below the step. Raise your body up slowly by squeezing your calf muscle and repeat until you’ve completed all the reps on one leg before switching to the other leg.